White Burgundy is special and the pricing of François Carillon makes it very approachable, an opportunity to taste the work of a top top top quality vigneron. Yes, that was three ‘tops’ on purpose. His wines are that good! 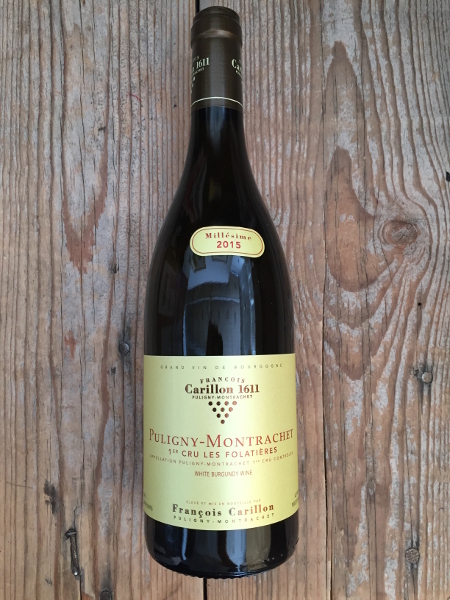 In 1520 Jean Carillon was born to a family of vineyard workers, the men to follow established a Carillon lineage among the history of their small village of Puligny Montrachet. With the family domaine established in 1611, that would make François the sixteenth generation Carillon to farm the vineyards of Puligny. 1988 was the year that François started working alongside his father Louis and in 2010 he inherited 6.5 hectares of vines to call his own. A ‘grape man’ to the fullest, François has a primary focus on the vineyard and truly believes the quality of a wine is determined before the grapes arrive at the domaine. He farms to produce the best fruit possible. No weed killers are used, he plows by horse or tractor if required by the conditions, and yields are controlled with a strict pruning and de-budding program.